Last week, chipmaker Intel introduced its new Core i7-980X Extreme Edition processor, a new $999 high-end part built almost exclusively for gamers and high-end computing enthusiasts using the company’s 32nm architecture. And, wasting no time, high-end boutique PC makers have begun announcing Core i7-980X options on their high-end gaming rigs, with Dell subsidiary Alienware, Maingear, Velocity Micro, Digital Storm, CyberPower, and others all adding the processors to their desktop options. Of course, these systems aren’t inexpensive, and the full benefits of the six-core chip won’t really be seen until games and other software are optimized to take advantage of all the multithreading potential—but for folks who have to be on the cutting edge, the edge just got sharper. 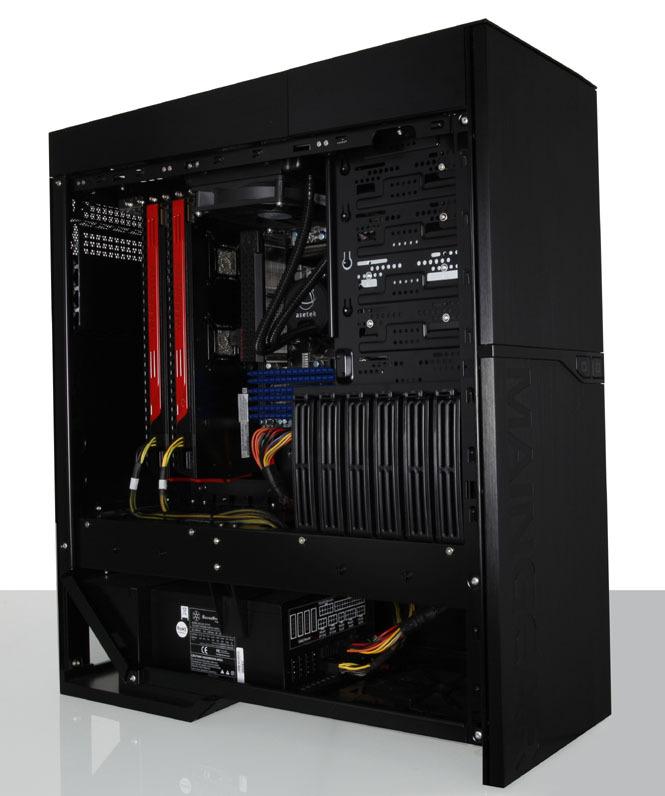 It’s almost impossible to run down specs of high-end gaming PCS because they’re available with such a wide variety of options and configurations: what’s a dream machine for one high-end customer is anathema to another. But the starting prices on these rigs should provide a hint: Velocity Micro’s Z55 starts at $2,824 with a Core i7-980X; Maingear’s Shift X58 starts at $3,290; Alienware’s Area-51 ALX rolls in at $3,999, CyberPower’s Black Mamba starts at $4,225, and Digital Storm’s Black Ops Extreme starts at $5,642. Announcing the chips, Intel said that it intended the Core i7-980X Extreme Edition to be the top of its desktop heap, but also to be a limited edition part aimed at the high end of the computing market. What might be more interesting is to see how Intel’s six-core chips—like the Core I7-980X but also the new server-oriented Xeon 5600—trickle down into professional and media-creation systems from makers like HP and Dell…and, of course, Apple’s Mac Pro line.